Compatibility: Requires iOS 12.2 or later. We specialize in luxury car rental in Montreal. We own only the most recent models; in fact, most of our cars are of the current year. 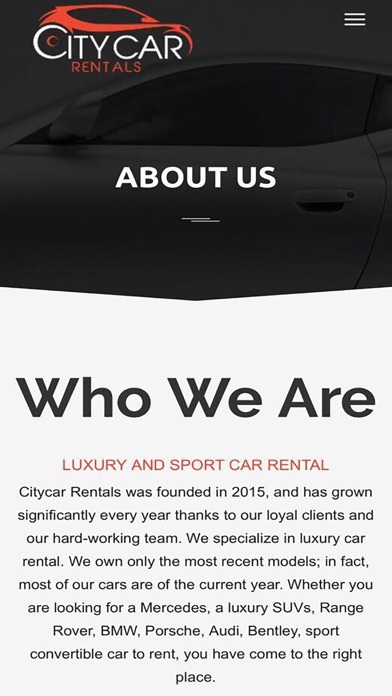 Whether you are looking for a Mercedes, a luxury SUVs, Range Rover, BMW, Porsche, Audi, Bentley, sport convertible car to rent, you have come to the right place. Whether you are looking for some exotic car rental services in Toronto or some luxury car rental in Montreal, we have some exclusive options for you. Most cars in our fleet are from recent years, it means you need not worry about comfort and convenience while you ride with us. It is our endeavor to provide best-in-class services to our customers and the last few years have provided us with an opportunity to prove ourselves. 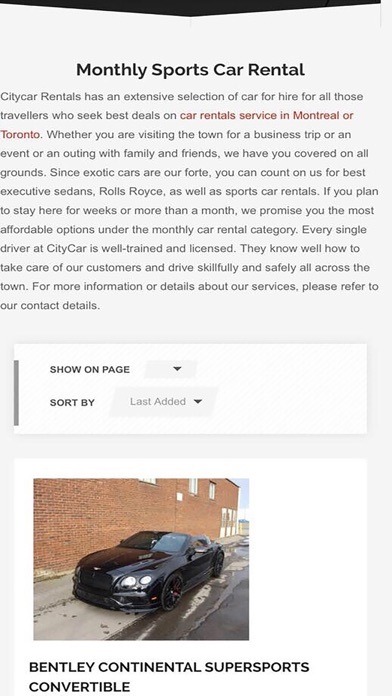 So all those looking for Bentley, Audi, Porsche, BMW, Range Rover, SUVs or sports convertibles, we have you covered. 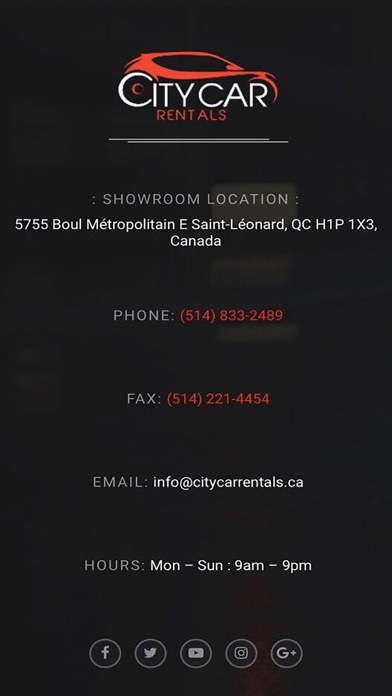 For car rental service in Brossard, Montreal downtown or any other location in Montreal and Toronto or get more information about us, please refer to our contact details.